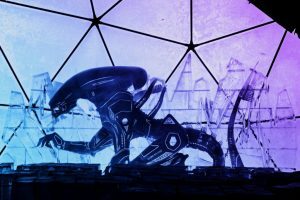 Frozen space in Gorky Park! New 2019 has already started and there are amazing new places to visit around Moscow. You know that Gorky Park has great ice skating and that you can slide on tubes. But from 1st of January it also offers amasing ice sculptures exhibition in three different tents with three different themes. 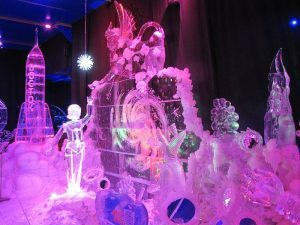 It will be open until 10th of March and you will be able to see space presented through ice sculptures, some of them measuring up to 8 meteres high, as well as all the characters from Russian fairy tales. You can buy tickets there or online on the site of Gorky Park. Cost is from 450-550 roubles. Entrance is behind caffee Merkato. Working hours, everyday from 11h – 23h. « Moscow traffic during New Year. We are a team of Expats living in Moscow and we want to make sure ​you fall in love with Russia, so let us show you the Real Russia! Contact us with any additional questions you may have; we will make the process as painless as possible. Recevez notre almanach des bonnes astuces à Moscou, et restez en contact. Nous avons bien reçu votre requette.